HOUSTON (KTRK) -- A 19-year-old is going to jail after the tragic shooting of a 5-year-old boy. The shooting happened last March when a teenager picked up a gun and pulled the trigger, that bullet went into a next door apartment killing a 5-year-old boy. Nima Nazerian is now 19 years old. Police say last March he bought the gun from a fellow high school student, with another teen present. The gun was left in that teen's bedroom and when that teen allegedly picked up the gun, it fired. The bullet went though a wall and killed Jairo Victoriano. Since the shooting, the boy who bought the gun was sentenced to jail time, and now the 19-year-old who sold the gun is going to spend 11 months in Harris County Jail. The charge is making a firearm accessible to a child. 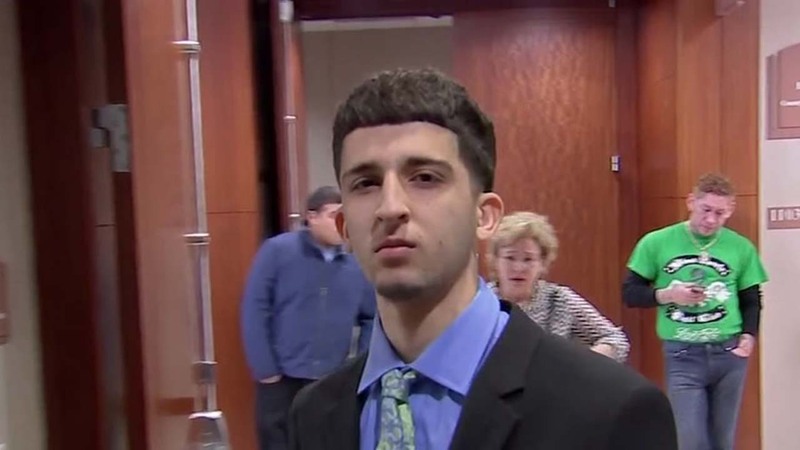 While the parents of the young victim did not speak to us on camera, during the victim impact statement his mother told the court, "All I can do is kiss a picture of my son." His father said, "My heart is destroyed." Ashley Guice, assistant district attorney, said of the boy's parents, "(They) shared that they weren't bitter toward the defendant, but they just really were looking for some justice, they wanted justice enforced today. They wanted to hear something from the defendant to hear that he was at least sorry and I believe that today gave them that bit of closure." Nima Nazerian told the parents, "I am extremely sorry. I am very sorry for your loss, I never wanted this to happen. Bless your son."